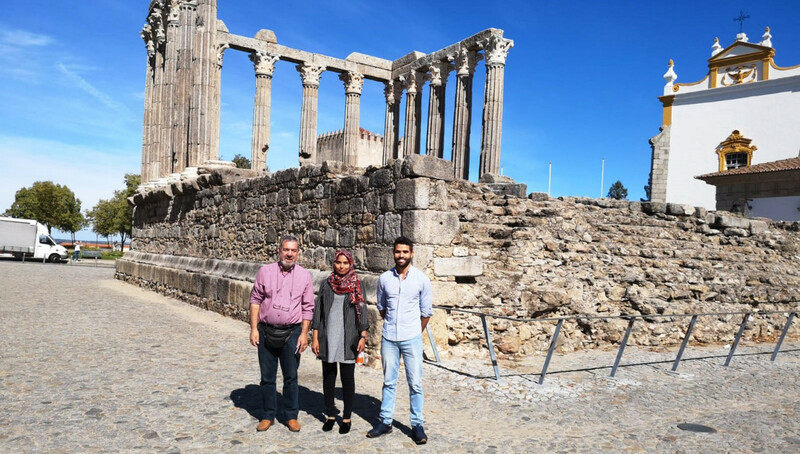 A group of researchers from INESC TEC’s Laboratory of Artificial Intelligence and Decision Support (LIAAD) represented the institution in the 7th Iberian Mathematical Meeting (7IMM) that took place in Évora between 12 and 14 October. João Gama (University of Porto/ INESC TEC) and Pedro Delicado (Polytechnic University of Catalonia) organised a session on Mathematics of Big Data that took place on 12 October. Some of the topics that were presented in this session were “Social Netwotk Analysis”, “Mobility Patterns from Data”, “Real Time Data Stream Mining” and “Community Detection in Large-Scale Social Networks”. The researchers Shazia Tabassum, Thiago Andrade and João Gama also participated in this session. The Iberian Mathematical Meeting, which is a joint event of the Royal Spanish Mathematical Society (RSME) and the Portuguese Mathematical Society (SPM), aims at bringing together Spanish and Portuguese mathematicians in order to develop mathematical researches in the future. The researchers mentioned in this news piece are associated with INESC TEC and UP-FEP.